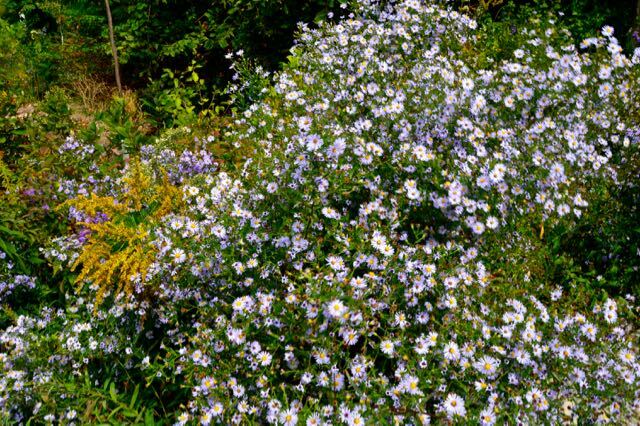 New-world asters aren’t Aster anymore. 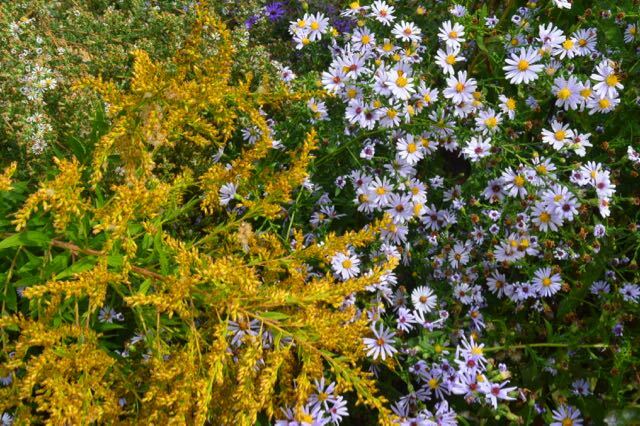 They are, among other things, Symphyotrichum as in Symphyotrichum novae-angliae or New England aster. Because these new-ish names are a bit of a mouthful, I prefer the term used (and perhaps created) by my friend Gail of Clay and Limestone: Ex-asters. It’s for Gail’s Wildflower Wednesday that I post this almost-wordless paeon to the ex-asters I visited a couple of weeks ago in the Toronto Botanical Garden’s Woodland Walk. 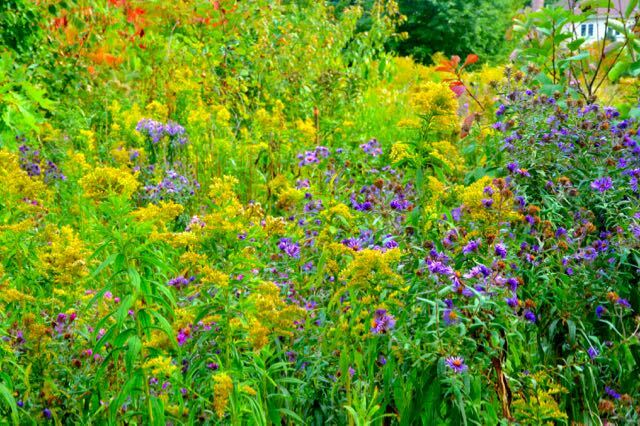 If you visit Gail’s meme link, you’ll see that her post this month is all about pollinators, and also stars these stars of the fall garden (“aster” being Latin for “star”). 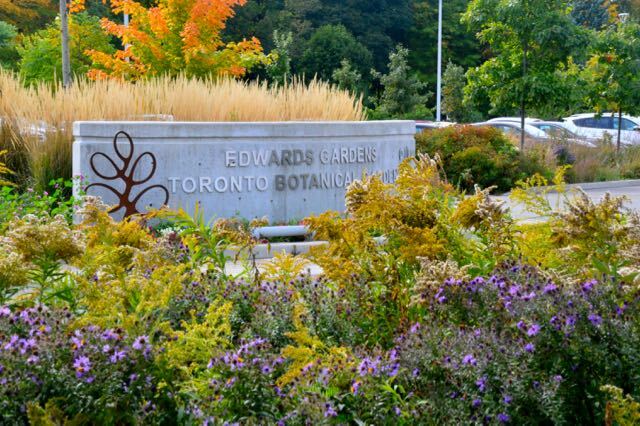 The Woodland Walk begins just east of the Lawrence Avenue entrance. 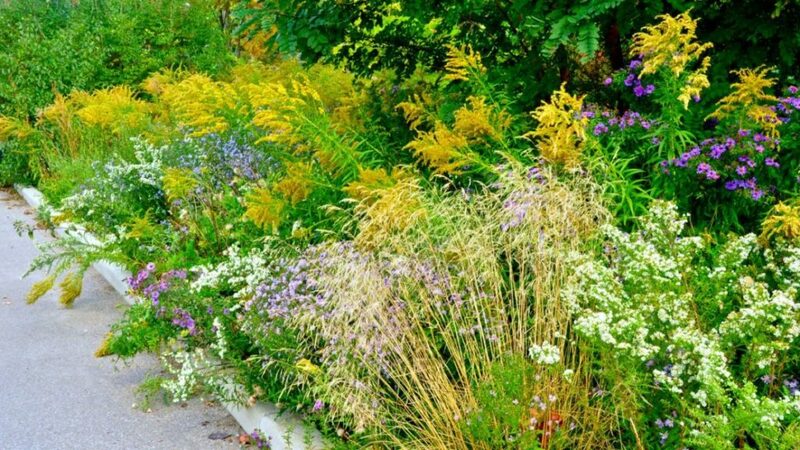 A 180˚ turn and a few steps from the entry above is this gorgeously textured patch of wildflowers. A close look at some of these images hints at the buzz of activity on almost every flower. Symphyotrichum oolentangiense, a big name for the tiny-but-generous sky-blue aster. 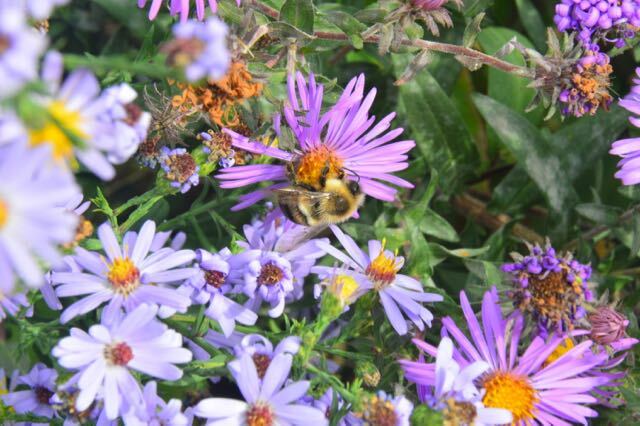 One of the TBG’s honeybees doing some late-season foraging on a white ex-aster. 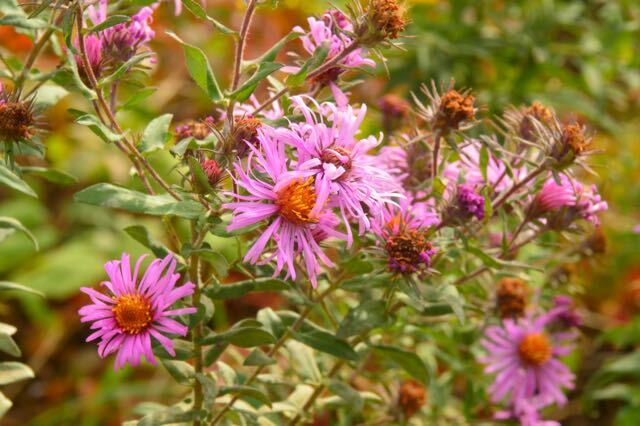 For more on Ontario asters, check out this section of Walter Muma’s always informative Ontario Wildflowers. And be sure to visit Gail’s Wildflower Wednesday link above to see what’s wild and growing in gardens all over. Gail, I’m always impressed with the great pollinator info you share every Wildflower Wednesday. Thanks for hosting it, and thanks for dropping by! I hope that anyone reading this post will go check you out. 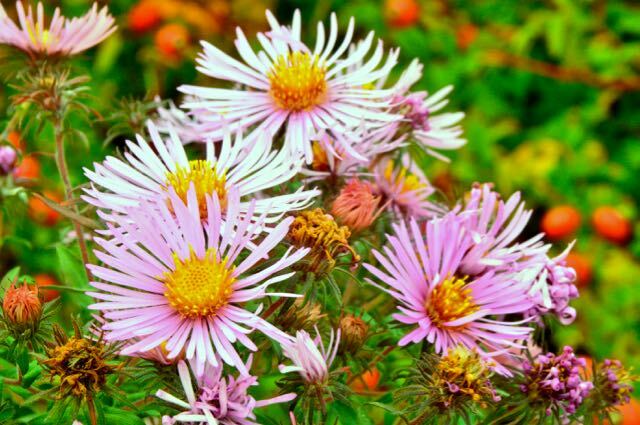 How lovely – there are some asters growing in our wooded area. 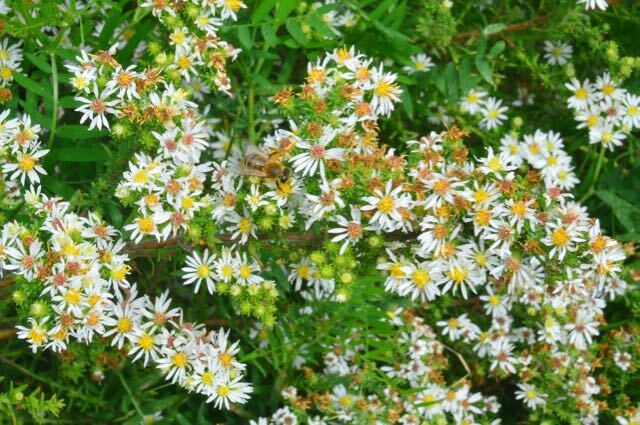 I have always described them as the “typical” wild asters that we see in Ontario, although now that I have read Walter’s article, I’ll have to take a closer look. I’ll have to check to see if they are still blooming to give them a closer look. Doesn’t it seem that flowers are never a hero in their own country, too? 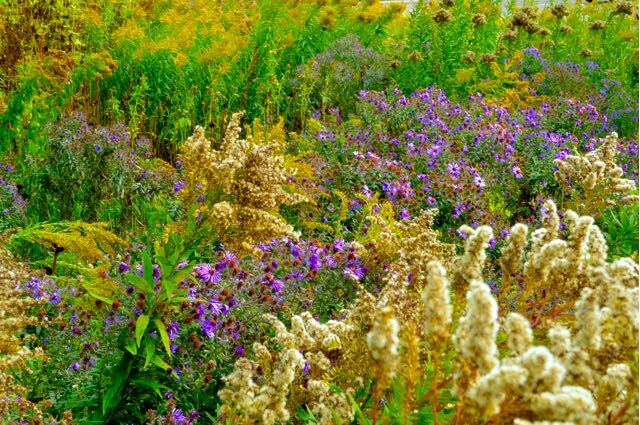 We take things like asters and goldenrod for granted, and yet they’re so beautiful and, in places, plentiful. 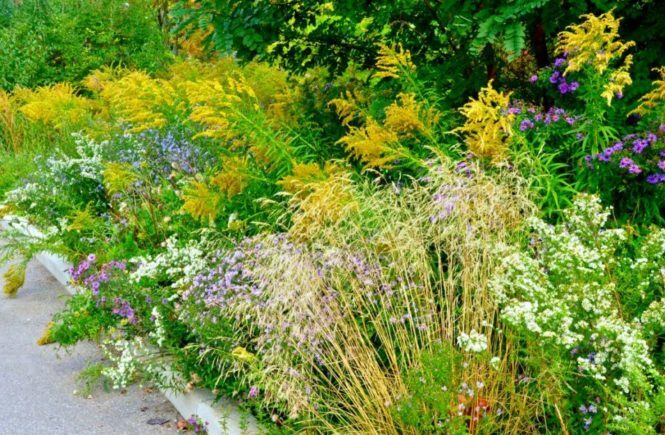 I know that our gardening aunts from the UK got all excited seeing goldenrod grow wild here. For them, it’s a wonderful garden plant. I agree, Deborah, and was lucky to catch it at is autumn peak.